Let us tell you about SmartNinja! Interview by Netokracija media (APRIL 2017). Who is Miha Fabjan? Both professionally and privately. I am a CEO and co-founder at SmartNinja, coding school. My daily tasks vary from management to sales and marketing and everything that comes around that. 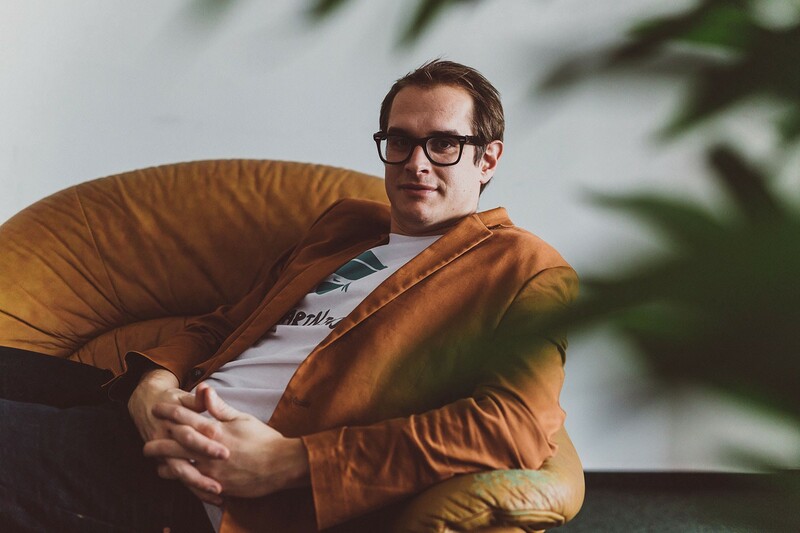 My background is in business and management and for the last 5 years I was actively involved in the Slovenian startup scene. Personally I like to see myself as a good and positive person who loves what he is doing. This year I decided to travel and work — a modern term for this is “workation”. :) The whole team at SmartNinja is remote so this works really well for us. In January I moved to Spain during the winter months in central Europe. Currently I am in Lisbon, Portugal and in mid-April I am moving to Berlin. Traveling and working at the same time was some kind of a life changing experience for me. You grow a lot personally and it’s great for building up a network of amazing people that you meet along the way. I love it. Why did you start SmartNinja coding school, what was the motivation? Were there any challenges at the beginning? How did students, companies and community react to a coding school? The idea of SmartNinja was developed out of a side project that we did in Novo Mesto back in summer 2014. 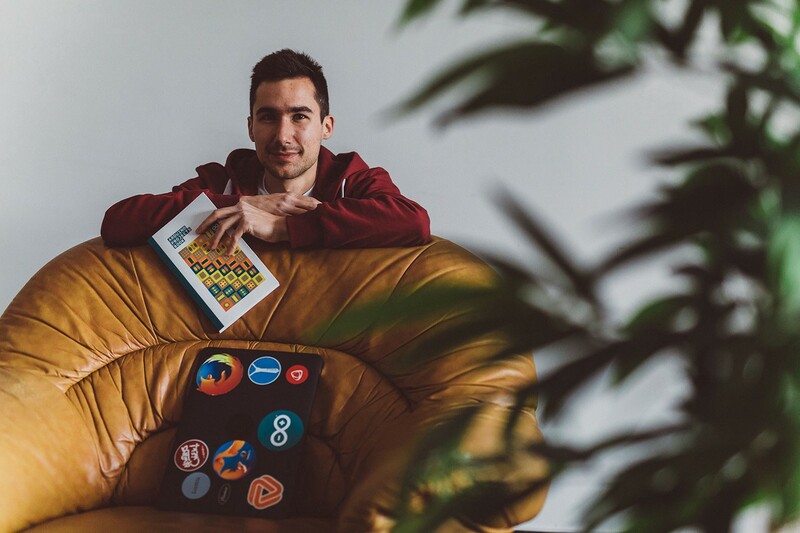 At that time a lot of people approached Matej Ramuta (co-founder) to help them learn how to code. This is why we decided to do a summer coding week and we had people visiting us from all over the country. A couple months later me and Matej decided to launch SmartNinja. Company that will teach people modern IT skills and help them get an IT job. The reaction from companies and students was amazing. We had more that 300 students in first year and a lot of great IT companies supported us. It was developed out of a 30 minute brainstorming session. The idea behind the name is that ninjas have skills and can handle every situation. Also with our courses we make you “IT smart”. So attend our courses and become a SmartNinja! What is the mission of SmartNinja? We believe that within the each of us lay hidden talents that are often neglected by the formal educational system. SmartNinja’s mission is to help people discover and grow their talents in the IT field. Skills that will help them find a job ­or even create a new one! SmartNinja school is also present in Austria. What are the results so far in both countries, and how big are teams behind SmartNinja? After a successful first year in Slovenia we decided to expand to Vienna, Austria. Me and Matej both moved there for 5 months where we successfully launched SmartNinja Austria. It was an amazing experience for us — we met a lot of great people there and we helped many make their first steps in the coding world. SmartNinja is now a team of 10 amazing people who make sure that everything is running smoothly. We have more than 40 instructors who teach our courses and just couple of months ago we reached a number of 1000 SmartNinjas that visited our courses. Were there any challenges when you first started in Austria? If yes, how did you overcome it? With every growing business there are challenges. We bootstraped our growth which means we invested our own money. Austrian market was challenging to enter. Expensive bureaucracy and strict laws were the first obstacles but we had great support by Impact Hub Vienna who helped us with that. Later we thought a lot about how to find the right market-fit and made some changes which turned out to be the right ones. 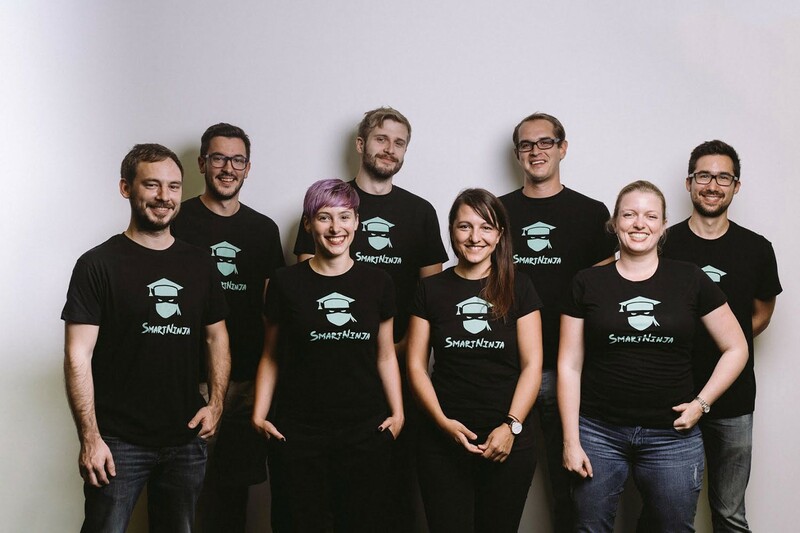 Now SmartNinja Austria is growing fast. We had almost 400 SmartNinja students there already. Who are SmartNinja students (people who are changing careers, want to learn new skills etc.) What is their motivation to learn programming? Are they in their 20s, 30s….? We offer different courses. Our most popular one is Web development 1 course that takes 3 months. It is suitable for total beginners who want to start a career in IT. After the course the best students can attend Web development 2 course and after they finish we connect them directly to IT companies where they can get an internship. These are usually people in their mid 20s who didn’t study computer science, but later decided to try out coding and IT. SmartNinja courses are also a great fit for people who already have a (non-coding) job and just want to learn new skills or add coding skills to their list of skills. Usually these are project managers, marketing specialists, HR etc. who are dealing with IT departments a lot. Also graphic designers are very common at our courses. What do they learn through SmartNinja coding school? Can you briefly describe the courses, and how a person can know and choose what is the best course for her? Web development 1 course is the best way to get good fundamentals in programming. People learn how to build a web application from A to Z. During the course they build more than 20 projects where they get a very hands-on practice. These are the projects they can include in their CVs as a proof of their new coding skills. Courses usually occur two times a week in the afternoon and are taught by experienced instructors. Course itself is intense, but with a good will you can attend the course even if you have a full time job or you are still studying. In fact many of our students already have a job or are studying at university. Are there any positive experiences, for example, SmartNinja students who got programming jobs, changed careers etc.? Can you share it with us? In Slovenia many IT companies already hired our SmartNinjas. Those were people who didn’t have any coding skills before attending our courses but now they started a full time coding career. One of the most inspiring stories is the one by Iztok from Celje. Before attending our Web development course, he was a professional football player playing in the First League, but at the age of 23 he injured his knee and his football career was over. He had to think about what to do next in life. He decided to go to our Web development 1 course where he discovered his passion for coding and ability to solve problems. After the course he first got internship and later on a full time junior developer position in one of the Slovenian IT companies. There are many other success stories by our students, mostly from people who couldn’t get a job with the formal education they had, so they decided to pick up a new skill, coding, which is transforming every aspect of the modern society. In today’s world diplomas don’t matter, practical skills do. If you compare SmartNinja coding school with other similar schools for example in Slovenia and Croatia, what are the main advantages of SmartNinja? Why should a person start learning coding with SmartNinja? We had more than 1000 students who visited our courses already. After each course we collect feedback from students and instructors. This feedback helps us update our curriculums and improve overall user experience. So the biggest advantage visiting SmartNinja courses is to know that you get the best course out there that was improved many times so far. We have one of the best instructors who come directly from the industry. They have a hands on experience and can share it with their students. In addition we actively help our students get a coding internship. We organize events where students meet local IT companies who are hiring. We also have a web platform where students can create a profile and contact companies that are looking for programmers. In May 2017 there will be first SmartNinja courses in Croatia. Why did you choose Croatia and Netokracija as a partner? What are the expectations of Croatian market? Croatia has a fast growing IT sector, which in turn needs more and more developers. Also we strongly believe there are a lot of talented people in Croatia who could become programmers — as long as they try it out. SmartNinja Croatia will pick up this talent and teach them the right IT skills that these companies are looking for. We partnered with Netokracija which we believe is the best partner to start a SmartNinja coding school in Croatia. They have many direct contacts with the industry and a lot of experience in organizing events. We believe that together we can build the biggest coding school in Croatia producing the best talent for the best IT companies. How do you see SmartNinja coding school in the future? Are you planning future expansion in other countries? 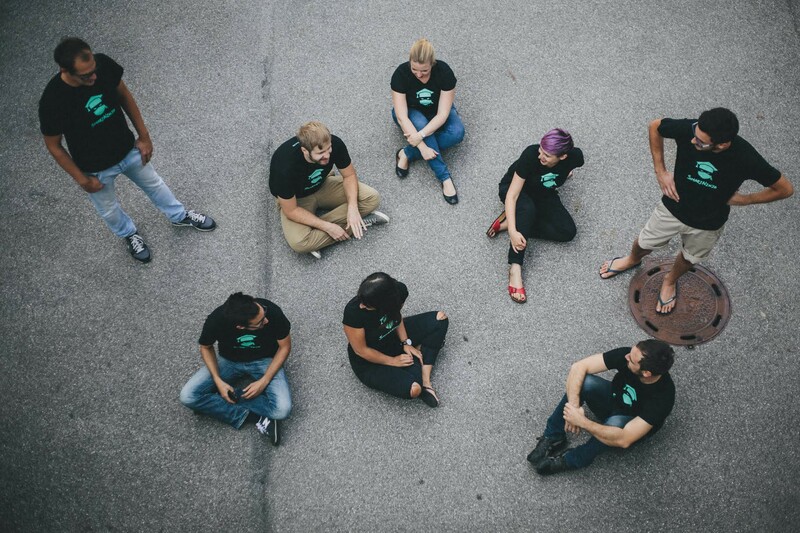 Besides SmartNinja coding school, you were also working to develop a startup community in Novo Mesto. Can you describe your efforts and what did you accomplish? To learn more about SmartNinja follow us on Medium or Twitter. You can also reach us via our website SmartNinja.org. We are always open for new partnerships in the markets where we’re not present yet. If you want to learn more about how to become SmartNinja Licensing Partner contact us here! Within the each of us lay hidden talents that are often neglected by the formal educational system. SmartNinja's mission is to help people discover and grow their talents in the IT field. Skills that will help them find a job - or even create a new one!